California has sided with states that believe someone who is between the ages of 18 and 20 is old enough to sign contracts, get married, vote, and join the military, but can’t be trusted to purchase a hunting rifle. The new laws are a knee-jerk reaction to the Parkland massacre, but there’s a problem. There’s a very good chance that the new law, one similar to the law passed in Florida, is unconstitutional. As California Gov. 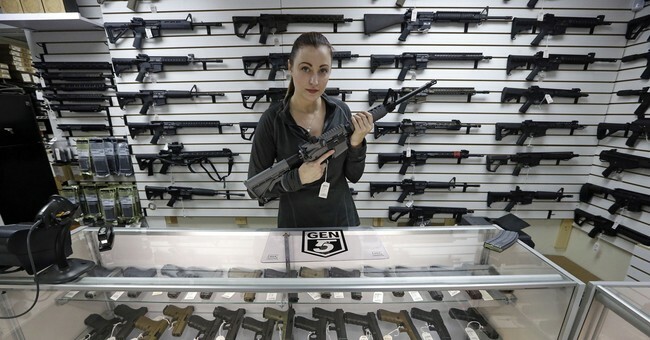 Jerry Brown signs a bill into law that bans the sales of licensed dealers guns to those under 21, Indianapolis gun rights attorney Guy Relford says that law may not hold up if challenged before the U.S. Supreme Court. “If you, in California, now permanently eradicate the ability of someone 19 to 21 from buying a rifle or a shotgun, now you’re eradicating all of their Second Amendment rights completely, which means they have no alternative,” says Relford, since he says federal law already bans people under 21 from buying handguns. “I think that could very likely face a successful Constitutional challenge, particularly if we have a strong pro-Second Amendment justice on the [U.S. Supreme] Court like a Brett Kavanaugh,” says Relford. California’s law does provide an exemption for military and law enforcement, but I’m inclined to believe that Relford is correct. The Constitution expressly provides equal protection under the law. In other words, everyone with citizenship rights in this country has all of their rights. While felons can’t own guns, they can’t vote either, because they don’t have their rights any longer due to their actions. But adults under the age of 20 are now barred from their Second Amendment rights through no actions of their own. At least before, they were only barred from purchasing handguns. A case could be made that they still had their rights because they could purchase long guns. It’s a BS argument, but only because it’s still a restriction on their rights. Now, California has blocked them completely. They don’t have equal protection under the law. In short, they’re second-class citizens, and that should be a major point of contention for anyone in that age group, even if they have no interest in purchasing a firearm. After all, once one right is taken, you have to wonder what is next. Honestly, it’s yet another reason to hope the Senate gets its proverbial head out of its rear and gets Kavanaugh confirmed. With a Justice Kavanaugh, we’d likely see this law be struck down, assuming it’s heard at all. Of course, I also think that’s far more likely with Kavanaugh on the bench. Frankly, it needs to be. Unfortunately, history has taught me that what I think needs to happen and what actually happens aren’t necessarily in the same zip code. My concern is that this kind of crap will be upheld and I’ll end up watching it spread, possibly during the next Democratic presidency. I’m worried about the legions of young people who may well die because they weren’t able to arm themselves so they could act in self-defense. Let’s hope the Court hears this case and agrees with Relford.